There are two types of Dublin asphalt shingles – organic and glass fiber. Organic shingles are generally made of waste paper soaked in asphalt, coated with adhesive asphalt and embedded with ceramic grains. 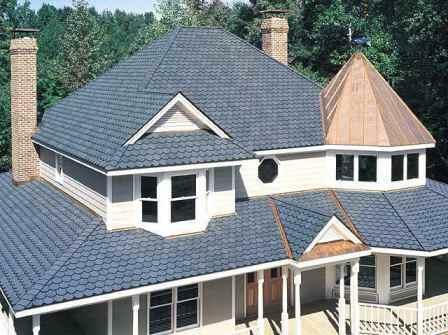 Fiberglass shingles, on the other hand, have a base composed of glass fiber mat made from fiberglass mixed with resin. They are made waterproof by a layer of asphalt. A variety of fiberglass asphalt shingle has been introduced and is now known as the laminated shingle, which, as the name suggests, uses two layers laminated with sealant. It is much more costly yet also more durable. Dublin asphalt shingles are undeniably one of the most popularly used roofing materials not only in the US and Canada, but also around the world. They provide convenience through ease of use. They are also simpler to install and can be done even by homeowners themselves. They are the ideal roofing material and perfect replacements for the usual slate, wood roofing and terracotta simply because they are both reasonably priced and versatile. Your Dublin roofer can provide you with more information. If you are looking for Dublin Asphalt Shingle services, please call us today at 614-263-8899 or complete our�online request form.